1) Their achievements are within reach. Yes, this dynamic duo is part of a very profitable home network with a lot more resources at their disposal than us everyday Joes. But, Chip and Joanna—rather surprisingly—stick with the basics of what make a home remodel the dream for all of us. They focus on basics, making sure foundations are solid, preserving character, and improving a home’s value in ways that are beyond solely aesthetics. Instead of impressing us with just a dazzling décor, they make sure a house is functional in a way that feels very authentic. (Although they have an enviable aesthetic design, too). 2) This couple’s partnership is inspiring. If Chip and Joanna can have four young kids and still both work full-time and still manage to genuinely seem to like each other, surely remodeling our own homes won’t destroy our own marriages…right? 3) They can train your eye. One of my favorite parts about the show is that it’s taught me to look beyond the dust and doom and gloom of older homes in need of serious TLC and appreciate those assets in older homes that simply can’t be replicated. The show has helped me see past any flaws to the hidden gems in original hardwood flooring, spindled staircases, and vintage crown molding. 4) Responsible home renovation? They’re all about it. 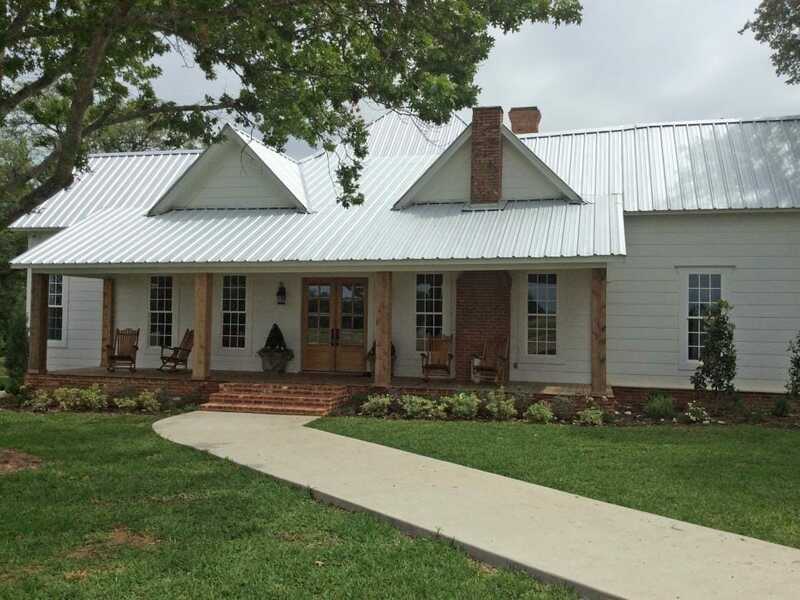 Renovating, remodeling, and upgrading can be addicting. And while sprucing up a home can add value and improve your living situation, it can also be a harsh addition to a local landfill. Which is why it’s so important that mainstream home renovation shows like Fixer Upper focus on repurposing home materials whenever possible and incorporating thrifted and upcycled home décor products and elements. 5) Joanna and Chip are just plain adorable to watch. OK, sure, this may not be an official reason, but I’m sorry, it’s the truth. Chip provides the goofy, comedic presence—like the time he tried to act like a macho man in his new sports car and accidentally hit a parked car right on camera—while Joanna seems to be more of the get-it-done inspiration that every home remodel needs, even while she’s laughing her head off at her husband. Which is often. 6) The end-of-the-show reveal always delivers. Unlike a lot of home renovation shows, this power couple isn’t just fixing up a home that’s already modern or in great shape. They are really taking the worst of the worst homes and transforming them in ways that seem almost unbelievable. It feels good to watch the big “unveiling” at the end of the show and know that not only did one family get their dream home, but an entire neighborhood benefited from it as well. 7) They make you want to reach for the stars. If you’ve ever felt guilty about “wasting” time or money on working toward the home of your dreams, let me just say—I feel you. With so many other priorities and responsibilities in life, it might often seem like your ideal home will always be out of reach. 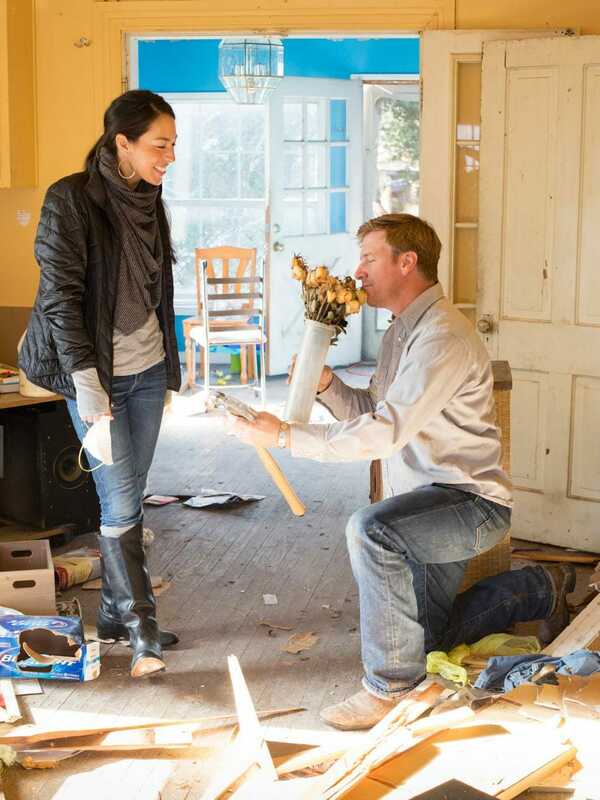 But, as sappy as it sounds, Fixer Upper has made me feel like my dream is attainable. Seeing Chip & Joanna find homes locally that can be completely transformed with a little bit of sweat and hard work, and a whole lot of imagination, has changed my perspective. Instead of wishing that my dream home will magically drop in my life someday, I need to open my eyes to the homes available—and start brainstorming ways to make them work for our family in a little bit of a different light. 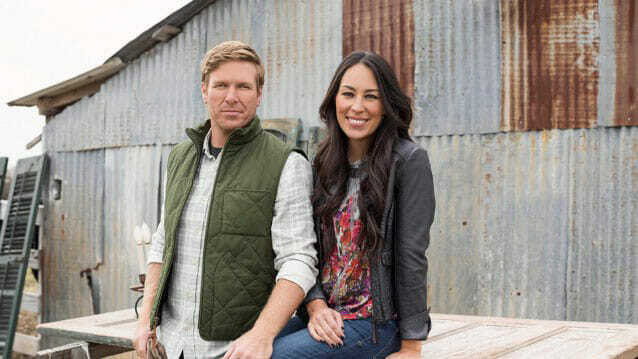 So regardless of whether you’re a home improvement junkie, a renovation addict, or just someone who enjoys an entertaining show, Chip & Joanna Gaines of Fixer Upper will become your new favorite TV crushes—or very good reason. Also, watch at your own risk, because the show is completely addicting. Don’t say I didn’t warn you.